Attention Bubble Tea lovers! 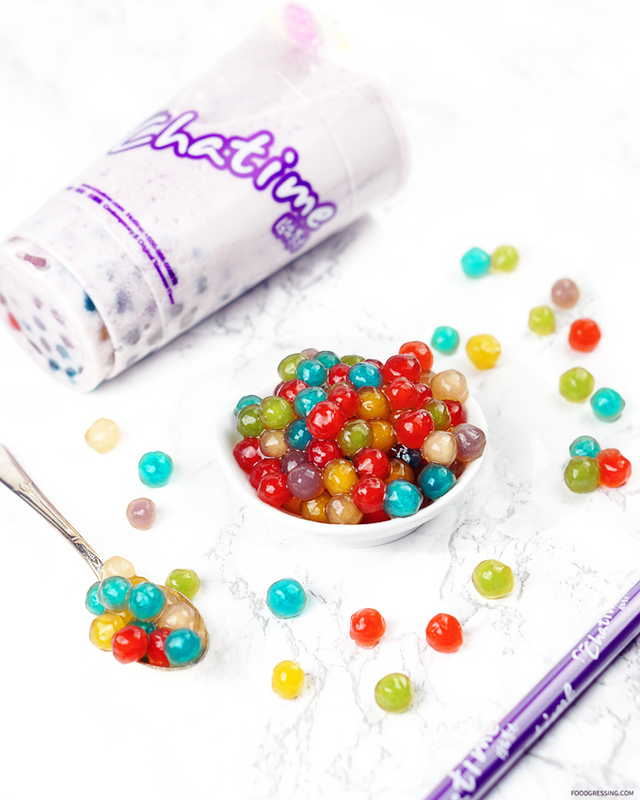 Chatime BC has introduced some colorful Rainbow Pearls to their lineup of toppings. The lineup of Rainbow Pearls included a mix of red, purple, cyan, yellow, green, and white pearls. After trying them out, I found that these Rainbow Pearls taste the same as the regular Pearls. According to the announcement on Chatime BC’s Facebook post, these are available for a limited time at all Chatime BC lower mainland locations with Vancouver Island shortly after. Head to your nearest Chatime BC location before they run out! Disclosure: This post is in collaboration with Chinesebites.com.